There will be two full weekend training camps preceding the trip; the first at Bibbys Farm in summer 2018 and the second at Great Tower in Autumn 2018. These camps will develop our team working relationships and improve skills required for a winter trip, as well as providing a great opportunity to get to know all the scouts who will be your camp mates for the week! We also plan to put on some single day activities (e.g. Chill Factore, sponsored hike, bag pack) in between the camps to help develop winter skills and to provide fundraising opportunities. Applications are open to anyone in the scout section (10.5 – 14.5 years) at date of travel; however the trip does favour the older scout due to the full on nature of winter activities. Younger scouts are welcome to apply however please consider suitability carefully. If there is a high level of interest in the trip and it proves to be a success then there is potential for the trip to become a regular on the West Lancs Scout calendar! If you are an older scout moving up to Explorers between now and February 2019 it is still worth applying as, depending on the level of interest and number of applicants, we may be open to taking some young explorers if they are in the scout section at the time of application. The cost for the trip is only £820 per person. This includes accommodation and full catering at Kandersteg, flights to Geneva and train transfer to Kandersteg, all activities and equipment hire (with the exception of downhill skiing/snowboarding which is an optional extra), two training weekends, fleece, knecker and badge. 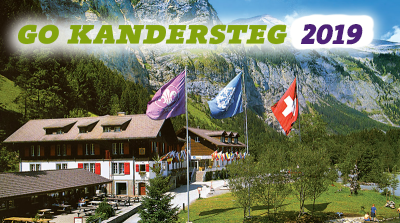 For the chance to experience all these exciting activities in such a beautiful county and to visit Kandersteg International Scout Centre it is a fantastic price! We will be organising some central fundraising events but we very much encourage scouts to arrange fundraising within their groups as this covers more of the cost for the individual. If you have any questions regarding the trip, or would like further information, please feel free to contact us on the above email address or telephone Bex Sinton (expedition leader) on 07857746814.